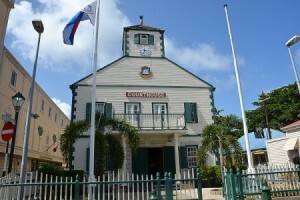 WILLEMSTAD, PHILLIPSBURG - The Prosecutor’s Office has lodged an appeal against the four verdicts of the Court of First Instance of St. Maarten in the Masbangu investigation. The investigation focuses on vote fraud during the Parliamentary elections in 2010. The suspects R.C.H.J., C.C. and A.R.W are suspected of selling their votes and R. H. is suspected of buying the votes of the other three suspects. On Wednesday, September 14, 2016, the Court of First Instance acquitted the four suspects of all charges of (attempted) vote buying. According to the Court of First Instance it has been established from the dossier that payments have been made with the obvious intent to influence the voting behavior of the recipients. According to the Court of First Instance, however, it has not been established that in return for such payment a certain action - namely to vote for a particular party – was agreed upon, nor that there had been an attempt thereto. Accepting money and goods (of any value) from representatives of political parties by voters should in the view of the Prosecutor’s Office, at all times be considered as vote buying. The circumstances under which the suspects R.C.H.J., C.C. and A.R.W. have accepted the payments (and R.H. has paid the money) should have made it clear to them that in return their vote on the UP party was expected. The Prosecutor’s Office is of the opinion that it can be concluded from the dossier that in any case there was a 'tacit' agreement. On that (critical) point the Prosecutor’s Office wishes to seek a decision from the Joint Court of Justice. For the completion of the offense (also according to the Court of First Instance) it is sufficient that the parties have reached agreement on voting in a certain way in return for money. That ultimately the voting takes place in a different way, makes no difference. For the upcoming elections the Prosecutor’s Office will be alert to signals received from the community about accepting money or goods from representatives of political parties, and, where possible, proceed to investigation and prosecution.